This week on Top Billing Ursula is wearing a black stretch bandage dress from Du Sud with shine applique panels down the front and back and sheer sleeves. This week on Top Billing Bonag, our host presenter, is wearing a regal blue dress by Gert-Johan Coetzee. This week for Top Billing Jeannie D is rocking the ever so popular red carpet a Herve Leger inspired bandage dress with gold embellishment detail. This week on Top Billing Jeannie D is wearing a sleek dress by Kluk CGDT. 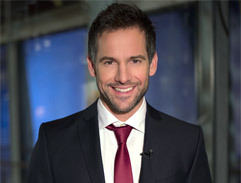 This week on Top Billing Janez looks dashing in a slick black suit, crisp white shirt and red tie. This week on Top Billing our beautiful host is wearing a glamorous dress designed by Gert-Johan Coetzee. This week on Top Billing Jeannie D is wearing a stunning grey gown by South African designer Devon Anderson. This week on Top Billing Jeannie D is wearing a beautiful, asymmetrical blue dress with embellished shoulder detail. This week on Top Billing Bonang is wearing a silver gown designed by Gert-Johan Coetzee. This week Jeannie D is wearing a stunning geometric dress hot off the runway. This week on Top Billing Jeannie D will be hosting the show wearing a lime green chiffon gown by Liezel van Zyl Couture. This week Bonang is wearing a glistening feathered dress by Gert-Johan Coetzee. This week on Top Billing Bonang is wearing a sparkling gold creation designed by Gert-Johan Coetzee. 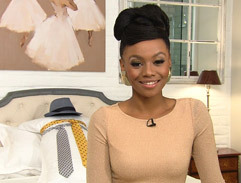 This week on Top Billing Bonang will be hosting the show wearing a slick gold dress from Topshop in London. 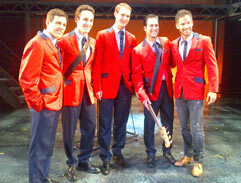 Join Janez as he catches up with four South African's that are making waves on stage playing the leads in Jersey Boys. This week on Top Billing Bonang is wearing a cutting edge Gert Johan Coetzee creation! This week on Top Billing Jeannie D is wearing a fitted, floral dress by Jo Borkett.